Busch started 23rd and finished eighth, collecting three bonus points. The No. 41 Mobil 1/Haas Automation Ford Fusion went from 23rd to 16th before the first caution on lap 25. Pitted on lap 27 for four tires and fuel. By lap 40, Busch was up to 12th. Busch started 11th and won Stage 2, collecting 10 bonus points and a playoff point. The 2004 Cup Series champion pitted on lap 79 for four tires and fuel but no changes to the racecar. While fifth, Busch pitted on lap 123 for four tires and fuel and rejoined the raced in fifth. After a late caution, some leaders decided to pit and Busch found himself in first place. On a one-lap restart, Busch held off Brad Keselowski and won Stage 2. Started 24th and finished 10th. Busch pitted on lap 153 for four tires and fuel. While in 18th, Busch pitted under caution on a lap 192 for four tires and fuel. He restarted on lap 198 in 15th. Busch pitted on lap 259 for four tires and fuel while running 11th. The No. 41 Mobil 1/Haas Automation Ford Fusion finished the race 10th. This was Busch’s second top-10 of 2018 and his 18th top-10 in 31 career Cup Series starts at Phoenix. Busch led once for six laps to bring his laps-led total at Phoenix to 757. 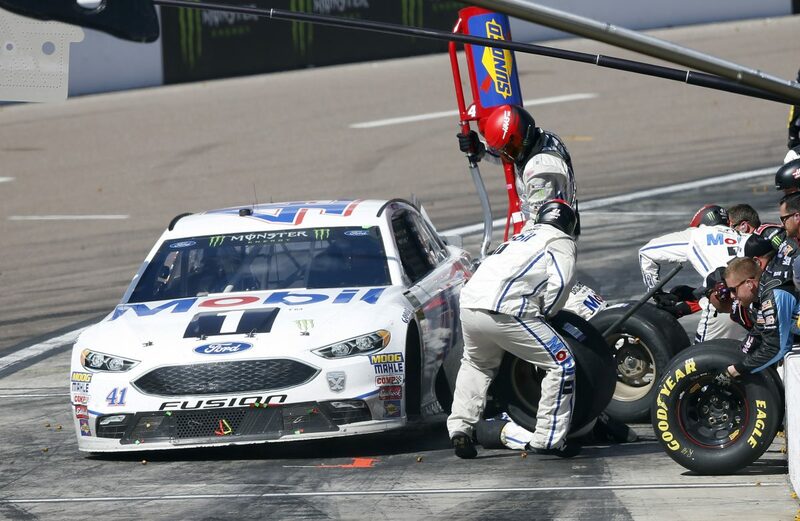 Busch finished eighth in Stage 1 to earn three bonus points. He won Stage 2 to earn an additional 10 bonus points and one playoff point. Harvick won his 40th career Cup Series race, which puts him in a tie with NASCAR Hall of Famer Mark Martin for 18th on the all-time NASCAR Cup Series win list. This was Harvick’s third Cup Series win of 2018 and his series-best ninth at Phoenix. Harvick’s margin of victory over second-place Kyle Busch in the TicketGuardian 500k was .774 of a second.